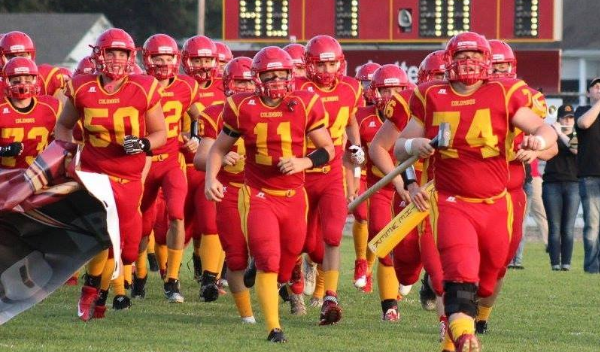 Sports in Kansas and Rack Performance have partnered to release a weekly Super 25 Rankings for All-Classes combined, Small Classes combined (4A-II & down) and a Super 10 Ranking for 8-Man I&II combined. A panel of voters across the state vote on these weekly to give us the weekly rankings that are finalized/calculated by Chet Kuplen, Managing Partner of Sports in Kansas and SIK contributors Ben Mitchum (Central/Western Kansas), Sean Boston (Wichita) and Kyle Odermann (Kansas City). Rack Performance is a proud supporter of high school football in Kansas and can help take your weight room to the next level. Visit them online at www.rackperformance.com to figure out how to start building your championship program today! Receiving Votes: Argonia Attica (8M-I), Bennington (8M-I), Caldwell (8M-II), Clifton-Clyde (8M-I),Dighton (8M-II), Hodgeman County (8M-II), Hutch Central Christian (8M-II), Madison (8M-I), Northern Valley (8M-II), Otis-Bison (8M-II), Rawlins County (8M-I), Rock Hills (8M-II), Sedan (8M-I), South Barber (8M-II), South Central (8M-I), South Gray (8M-I), St. Paul (8M-I), Wakefield (8M-II), West Elk (8M-I).